As wives, we desire our husband to love and cherish us. We want to hear sweet nothings whispered in our ears and have love notes tucked under our pillows with pledges of love from our husbands. We like to feel our husband’s arms around us reassuring us of his affection and attention. But, our husbands have desires too. Three of their strongest desires (in my opinion) would be respect, intimacy and food. Most of us wives understand that our husband needs food and intimacy. It’s kind of common knowledge, but respect? Yes, respect is a major need that he desires to be fulfilled by you, his wife. You are the one that sees him when he excels and when he fails. You are the one that he has vowed to spend a lifetime with. Yes, he needs respect from you. How can we as wives make an honest and deliberate effort to respect our husbands — every single day? It doesn’t come that easy when we know his weaknesses. But we have to, we need to. Because most of us chose to marry our husbands. Most of us were not the recipients of an arranged marriage. No, we fell madly in love with one certain man and pledged our life to him. In fact, many of us quoted wedding vows with the words “honor and respect” in them — and we were talking about our husbands! So if he needs it, and we promised to give it, then we need reminders on how to respect him every single day. Here are some relevant, everyday tips that you can start using today to bring respect back into your marriage. A wife that respects her man is a wife that is dearly loved. It’s true! It’s a tested and proven cause and effect. Just try it for yourself! 1. Don’t nag. Wow, this is a tough one sometimes. Life gets busy and he forgets to fix the sink or cut the grass. Don’t muse on these things. Just be patient and wait. Ask that God to remind your husband of those things so you don’t feel tempted to repeat requests — over, and over and over again. Another option? Consider taking the time to figure out how to get the job done yourself, so he can focus on other things. I know you are probably busy too, but if you can squeeze some of his duties into your schedule, you will only reap happy marriage benefits from your sacrifice of love! 2. Just listen. 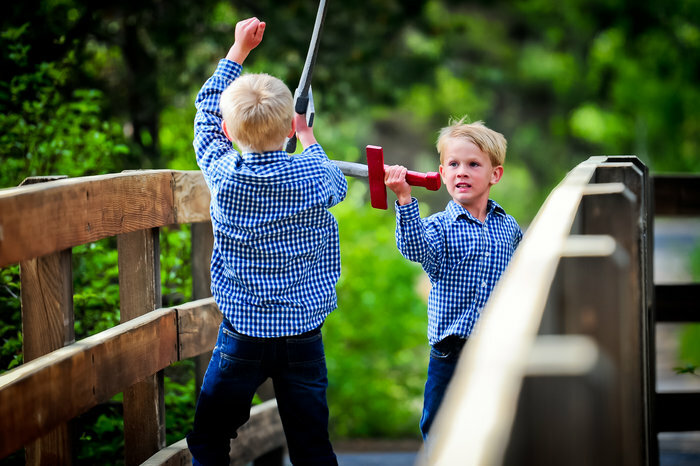 As a busy mom of six, I multi-task. Do you do that too? Sometimes my multi-tasking sneaks its way into my conversations with my husband. As he’s relaying current events to me, I may be sweeping or braiding my daughter’s hair. 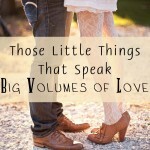 But, one small gesture that I can do everyday to show my husband respect is to simply stop and listen. I can put down my broom for a few seconds to give him my undivided attention. 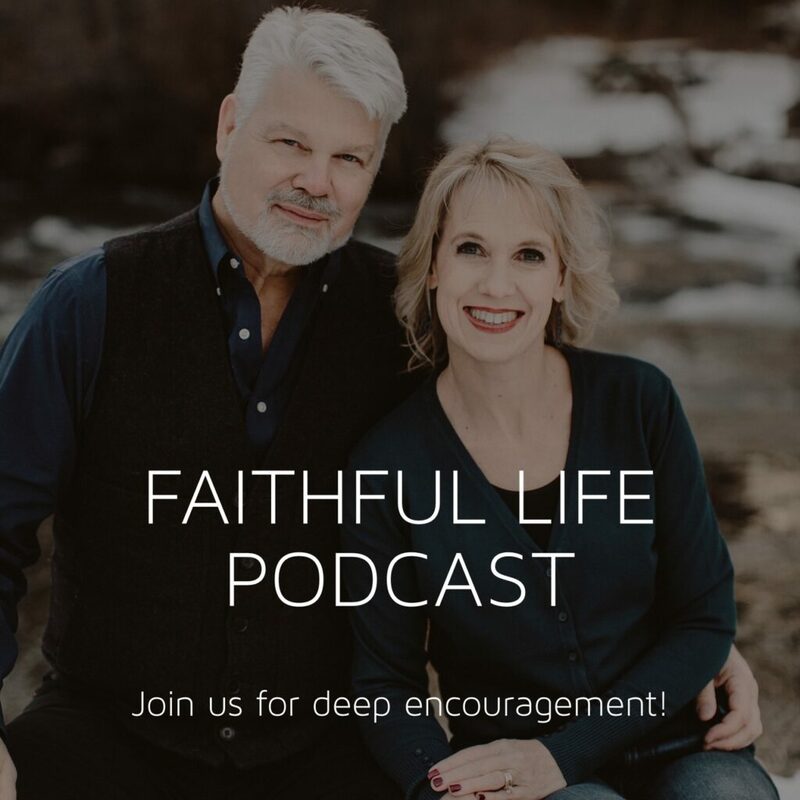 When I focus on him and his words, my body language is saying, “You’re important to me and I want to hear what you have to say.” Try it today and see an instant positive response form your hubby! 3. Don’t correct. This is definitely a pet peeve of mine. Countless times my husband and I have been engaged in a conversation with another couple and the wife continually interrupts. “No, honey. There were three men in the store.” “No, Sweetie, you picked up the green one.” She has to correct him — or else the story would never be the same. Don’t be that wife. I have yet to meet a husband that enjoys his wife interrupting his conversations or correct him — especially in public. It belittles him and only adds tension to your marriage. 4. Give thanks. Did he take the family out to dinner? Did he lead the family in devotions? Did he change the light bulb? From the simplest to the most difficult tasks and gestures, thank him. Verbalizing your gratitude shows your husband that you truly respect the work he does — no matter how small or big. 5. Praise him. Do you love your husband’s eyes? Tell him. Does he have an impressive baritone voice? Let him know you’re his biggest fan. Is a a loving father to your children? Tell him so. Take every opportunity to praise your husband. He’ll love it, and focusing on your husband’s talents and abilities will cause your heart to respect him more. 6. Give him his own space. Men like to have their own little cubby away from everyone else. This “man cave” is a place he can go to be alone and just think. Especially if he’s a dad, there will be times when he needs to get away. Let him have that space and furnish it as he desires. 7. Welcome his advances. Nothing makes a man feel disrespected more than a wife that pushes away his physical advances. It makes him feel undesirable. Lean in to that kiss, squeeze extra tight on that hug and focus on your special physical relationship that only you two share. Enjoying the physical part of the marriage is one of the most powerful ways to let your husband know he has your respect. Respecting our husbands doesn’t always come easy. It’s something that God had to give us clear instructions to do. But if we do strive to respect our husbands, then we will experience a happy, close-knit marriage that few people get to experience. Respect your husband now and cultivate a strong marriage that provides a strong foundation for a happy home. DO YOU DESIRE TO HAVE A HAPPY HOME? Many times we think happy homes only exist in fairy tales. Happily ever after can become your family’s story! 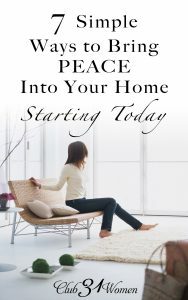 In my new ebook 25 Days to a Happier Home I take you through 100 plus pages of 25 daily challenges that inspire you to create a happier home for your family. 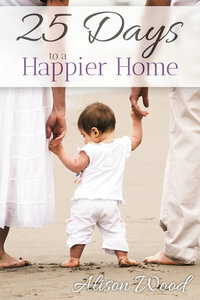 Parenting, marriage, home-making and financial issues are all addressed in this new book. Honest wife-to-wife and mom-to-mom advice helps encourage you to complete each challenge and continue molding your home into one of the most pleasant places on earth! is available in an easy-to-read format that is available for most reading devices. Join the happier home challenges today — your family is worth it! 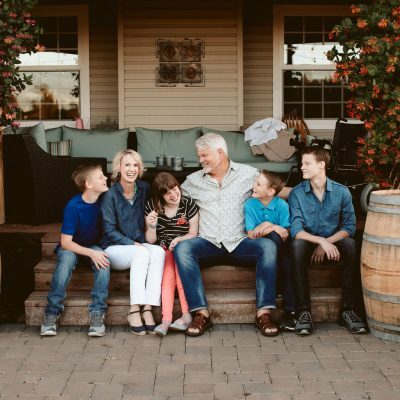 Alison Wood is a mom of six kiddos, wife to one amazing husband, church-planting missionary in Southeast Asia and a parenting writer for online magazines. 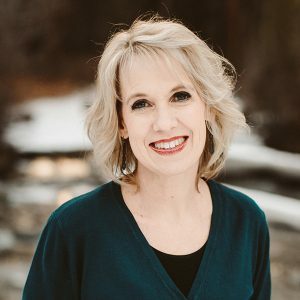 She encourages wives and moms at Pint-sized Treasures Follow her there! I was one step away from divorcing my husband 5 months ago until God got a hold of my heart. Our biggest problem over the last 18 years was my disrespect. God has led me to some wonderful websites like this one where I can start to learn how to respect my husband one day at a time and hopefully with God’s help restore our marriage. Thanks! We will have been married 17 years in December! This is so true. When I started working on this my marriage truly flourished. Great post. Thank you for the needed encouragement. I’ve been married 26 years and have been struggling the past couple of years in showing respect to my husband. Thanks for the practical steps to take in the right direction. 14 years and have fallen into some bad habits regarding this – thanks for the post and reminders! 12 years. And you’re totally right about the respect thing…I think it may be the thing that my husband desires the most!!! We will be celebrating our 19th anniversary in 2 weeks! I’ve been married for almost 4 years (I didn’t get it right the first time.) It’s difficult to reign in us independent women sometimes. Thanks for wonderful reminders on ways to be a good and respectful wife. This is such a great topic. Thank you so much for sharing and helping to remind us because life tends to get hectic! We are nearing our 2-year wedding anniversary. I have been struggling with the issue of respect, and often I find the inspiration and wisdom I need here on this blog. Thank you so much for taking the time to instruct and share! Thank you for this encouragement. We’ve been married 14 years, and this is still needful for me. I have been married 16 years! I’ve been married for 3 years today. This is a great topic and I am sure I could use help in this area. My husband and I have been together 40 years, married 38 years. It seems like after all these years one would be accustomed to those little things that annoys me. My husband is a talker. I tend not to give him my undivided attention the majority of the time. I know this is disrespectful. 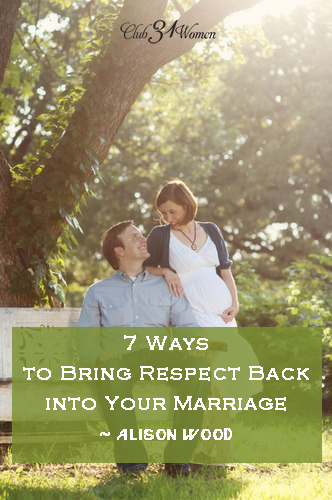 I’m embarrassed to say that I have failed at all 7 Ways To Respect My Husband. I desperately need this book! I sometimes hear my man say he doesn’t feel respected and I struggle with how to change that. This post gives such clear definition and I truly appreciate it. Thanks so much! I have been married for 5 years. I love your insights and experience that God has given you and appreciate your time sharing it. 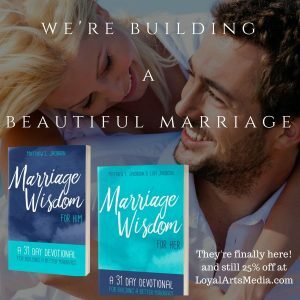 My husband and I have seen too many marriages fall apart recently, so I decided to make a conscious effort to make sure our marriage better now instead of later when we might be having serious problems. The one lesson I’ve learned on respecting my husband is taking his side, especially in front of an audience. No matter how wrong he is take his side. Most things in life you can work out the little details later, and if you absolutely need to interrupt take him to a place where you can have a private conversation. It goes along with not correcting him in public. I have been married for 21 years and while all of the above tips are very good, one thing I have learned is to show my husband extra respect when he needs it most. When he is struggling or falling short in any way, that is when I try to reach out to him the most. This has helped his confidence tremendously when things are tough. Thanks for the great post and the chance to win! We’ve been married for 5 years this month! I’ve been married for two weeks, and desire to begin my marriage with the right knowledge for our marriage to flourish. I know there will be tough times, but I want to be prepared and prayerful to ensure I always love and show respect to my husband through the ups and downs, and honour God. Congrats on 32 years! Love that! This is a common complaint from my husband and I find myself falling in the trap of thinking, “Well you don’t always respect me!” So sad! 13 years married, 18 years total. 15 years and 7 kids! My husband and I have been married for only seven months, and already our marriage has seen some very difficult challenges. My military husband went on deployment only two weeks after our wedding day and was gone for several months, leaving me alone in a foreign country without him. Now he’s in a very demanding school and we see each other only a few hours a week. With so much frustration in my heart, I can easily fall victim to the devil as he preys on my weaknesses and tempts me to disrespect my husband through disappointments and unmet expectations. 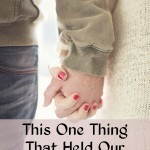 Yet, the Lord commands that I respect my husband, and these tips provide practical ways for me to do that. I wrote this list in my journal and will refer to it whenever I need a reminder! Thanks for posting this! Been married for 5 years. I have been married for 7 years and been in a relationship with him for 14! thanks for this post — great reminder — married 7 years. I have been married for 9 years!!! It’ll be10 yrs married in Sept. 13 together. Needed this! How many years have I been married….. well, I’m not, yet. 🙂 Does that disqualify me? Just what I needed today. Sometimes it slips through the cracks and you don’t even realized it. Thank you for these reminders. We’ve been married for 7 years. Great tips! Yes, avoid “husband bashing” sessions at all cost! We have been married 22 years. You are always challenging me and reminding me how to love my family greatly. Thank you for loving Jesus! I’ve been married for fifteen years! I’ve been married for 25 years, this is a challenge, and such an important topic. We aren’t encouraged to respect our husbands in this culture. I’d love to see a lot more on this! This is something I have been working on. I have been married two years and am a new believer growing up in a family who were also non believer gave me a wrong understanding of how I am supposed to be a godly wife. So I have been learning everything by gods grace, women in the church, blogs, and my bible. Thankyou for your challenges and encouraging words.